In this second part of a three part series on race day nutrition we look at consumption of carbohydrates during a race. Discussing whether or not you should take on fuel during your race and how best to do this. The final part will discuss what to eat/drink after your race for optimal recovery. If you read our previous article on pre-race nutrition you will hopefully be a bit more aware of how best to fuel up ready for your big race. The question that arises now is most likely “should I take on fuel during my race?” and “If so, when and how much”. It is widely recognised that intake of carbohydrate (CHO) during prolonged, endurance based events can have positive effects on performance and endurance capacity. It was in the 1927 that British Chemist William Owen created a drink that was essentially a mix of glucose and water. He named his creation Glucozade, at this time it was a drink designed to aid sick people with recovery, to provide them with the energy they needed to get better. However, it wasn’t until much later that the company realised the drink could be marketed as a sports drink and they renamed the product Lucozade. It was in the 60’s that scientists first concluded that consuming CHO during endurance events actually enhanced performance. Since then there have been numerous conclusive studies that back this up. If you’ve ever watched a marathon or half marathon on TV you will have seen the elite runners dashing for their bottles at the designated stations. Of course we can’t say for sure what’s in these bottles, but it’s highly likely that these bottles are filled with CHO blends packing plenty of easily digestible fuel. 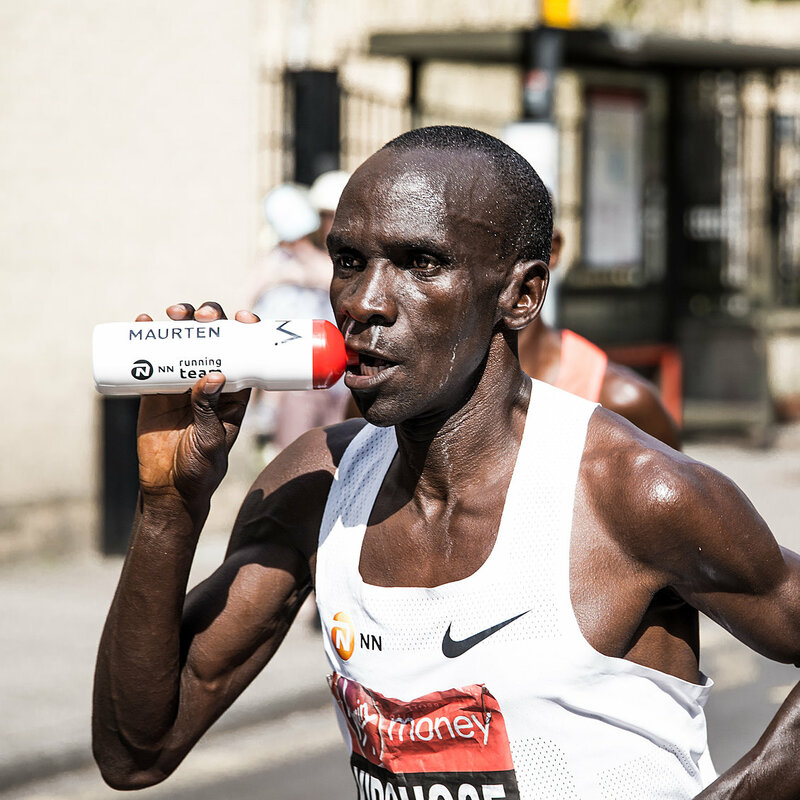 In fact, it’s known (and widely advertised) that Eliud Kipchoge (along with many other top endurance athletes) use a sports drink called Maurten that packs a whopping 80g of CHO per serving. 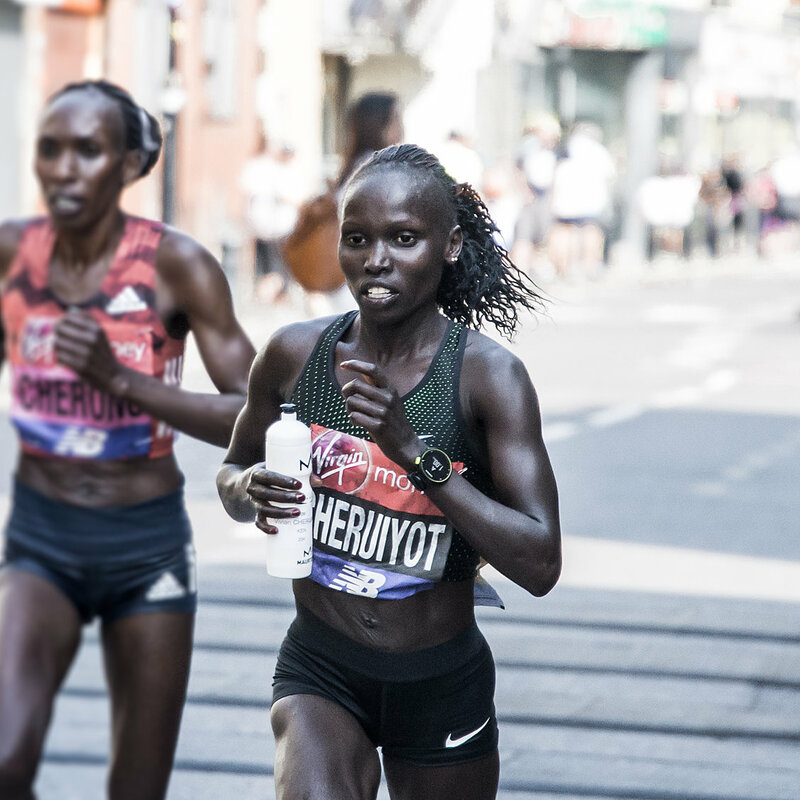 Vivian Cheruiyot on her way to winning London Marathon 2018. However, there are many runners out there who aren’t exposed to the same level of scientific research that the top elite runners are and hence many runners aren’t aware that they too can benefit from taking on fuel mid race. When you run endurance events lasting 2 hours or longer (half marathon and above for most) your body relies on glycogen as the predominant fuel to power the working muscles, therefore CHO availability becomes a limiting factor for performance. This means that taking on CHO during your race will delay the onset of fatigue. 60 – 120minutes of running ~ 80g in total. 40g prior to the start of the run and 40g during. If the temperature on race day happens to be particularly high, or higher than you are used to, you will find that you sweat more and lose fluids and electrolytes faster. The need to take on fluids and energy is greater and you should take this into account. As a generalisation the heavier you are the more energy it requires to move, this is just physics. Therefore a 120kg man running for 1 hour will use more energy than a 70kg man running for the same amount of time. Hence the greater your bodyweight, the more CHO you will likely require during your race. (Top elite athletes have teams of scientists around them who will calculate the exact requirements for the athlete, for the vast majority of us this is unnecessary, other factors will limit performance before exact nutritional requirements become a problem). So the values given above are approximations derived for an athlete of average weight, take this into account but don’t stress about it! The intensity of your run will also determine the amount of fuel you will need to take on. Since this article is specifically aimed at race day nutrition we can assume you are operating near or at your max. However, bear in mind that 2 hours of light jogging or walking uses far less energy than 2 hours of running hard and so nutritional requirements will also vary accordingly. Elite athletes have drinks stations set up where they can pick up their bottles of CHO mixes making it convenient and easy for them to attain the necessary CHO and fluid. 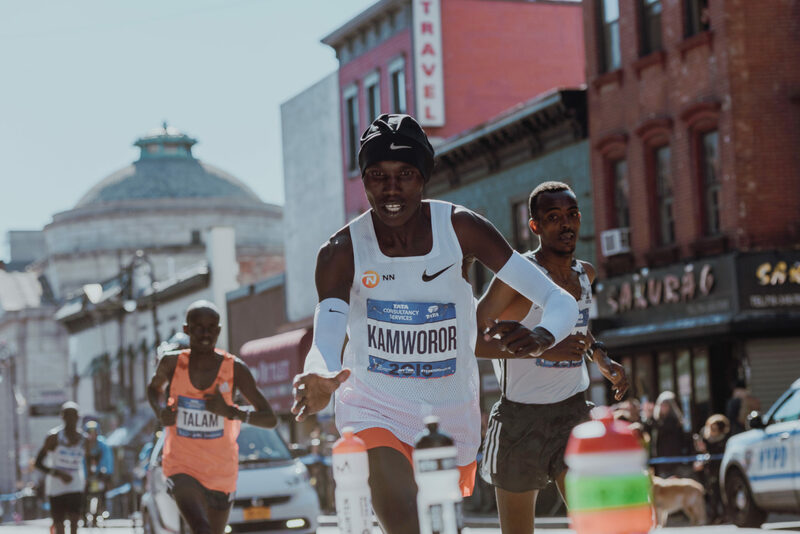 Geoffrey Kamworor reaching for his bottle in this year’s NYC Marathon where he placed 3rd. Most of us do not have this luxury and are hence forced to think of another way to easily take on fuel… Enter – gels. Gels come in convenient packs that we can carry with us from the start of the race and provide a good amount of carbohydrates per pack, plus they’re fairly easy to consume mid race. Different brands claim to use different technologies in their gel formulas and provide different levels of hydration and amount of CHO, it’s all about finding out what works for you. If you read our previous blog you will have noticed the emphasis I placed on the importance of practising your pre-race eating routine. The same can be said for anything you consume mid-race, if anything, this is even more important to practice with than the pre-race nutrition. Attempting to drink a carb solution or ‘eat’ a gel for the first time mid race day is a terrible idea. The chances are that your body will react badly to it since you have never experienced this before. The first few times you try taking on fuel mid-run you may find you have some stomach trouble and your body struggles to handle it. The human body takes time to adjust to new things and eating/drinking mid-run is no exception. Not to mention that consuming drink/gels when you are on the move, and fatigued, is not something which comes easily to a lot of runners. Like any other physical skill it needs practise to attain mastery. Leave bottles out on your training route and practice everything from grabbing the bottle on the move, to drinking (or opening a gel packet) when you are tired/moving at speed/cold and wet etc, to holding the bottle for an extended period so that you can take numerous sips rather than just one and then discarding it. A brief case study on that final point: Eliud Kipchoge is almost always the runner to hold on to his bottle the longest following a drinks station. Known as a master of preparation and a man who leaves nothing to chance, it is surely no coincidence that he holds on to his bottle for as long as he needs to in order to obtain all the energy he requires. Compared with many runners (elites included) who simply have a quick swig or two then chuck the bottle to the side. 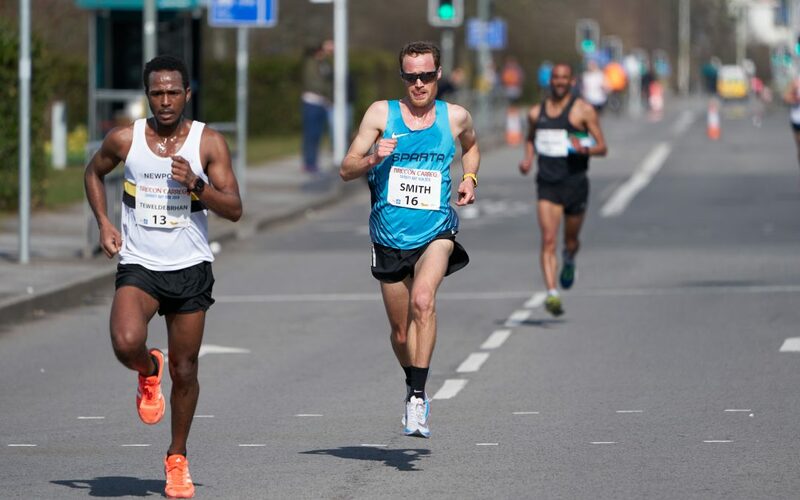 This is again a case of practising – it may not seem much but the first time you grab a water bottle when already running under heavy fatigue you will quickly realise that this is a severely under appreciated skill. Eliud Kipchoge, member of NN running team at this years London Marathon where he took his third title on the course. If you have a race coming up in which you think you may benefit from taking on fuel mid-race, then it’s wise to start practising several months in advance. First of all try taking on a gel 15 minutes before the end of your long run. For example, if your scheduled long run is 1 hour 45mins, try consuming a gel after 1 hour 30. This way your body will be benefiting from the additional CHO and you will be practising taking on fuel mid-run, but if this particular gel doesn’t work for you then at least you haven’t messed up your whole long run, just the last 15 mins. If you find it doesn’t work, try a different brand or type of gel, but also don’t be afraid to give them a chance. Remember your body takes time to adjust to new stimuli so it may take a few attempts before your body realises this is actually a good thing and that it’s going to help you. As you become more used to taking on fuel mid-run, start to consume gels earlier into your run, perhaps after 1 hour, and another 30mins later. It’s also wise to practise this during races that are less important to you, much like we discussed in the previous blog. If you have one particular race you are aiming for, then try a local race 6 weeks or so before hand where you can practise your newly discovered fuelling strategies. I hope you find this advice useful! Let us know what works for you and if you have any experience on this subject that you can share, please do – feel free to leave any comments. 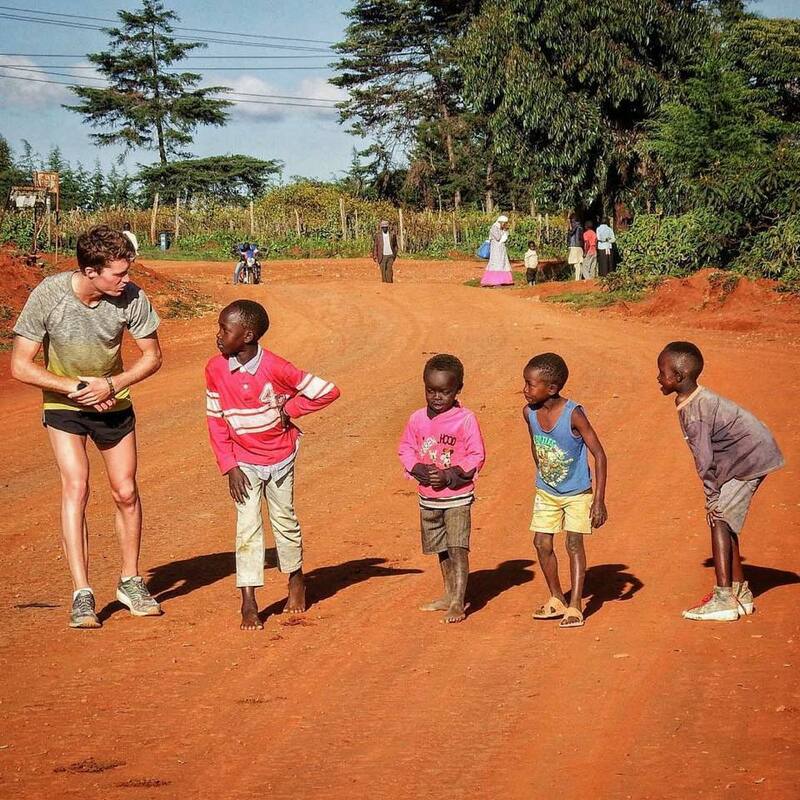 Callum Jones is an engineering master’s graduate of the University of Bristol and middle distance runner who has spent long periods of time training in Kenya. He began working for the Kenya Experience in October 2017. Our running camps provide an inspirational location, expert coaching and a supportive group environment for runners of all levels. 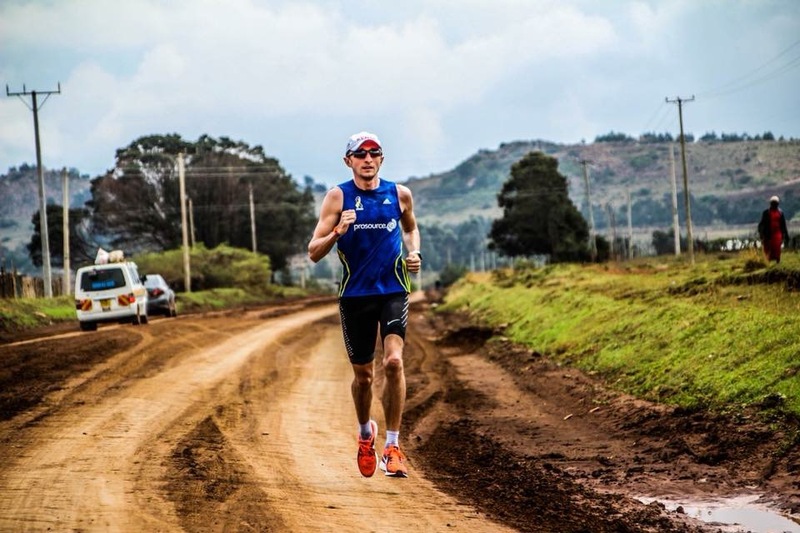 With an emphasis on ‘doing it the Kenyan way’ the camps include guided runs, practical workshops and an exciting itinerary outside of the actual training itself which will immerse you inside the Kenyan running scene. You will meet and learn from top Kenyan runners & coaches and interact with the local community in Iten under the guidance of our expert staff. What do you think of Bloks? They take a bit of chewing, but I much prefer them to the texture of gels.